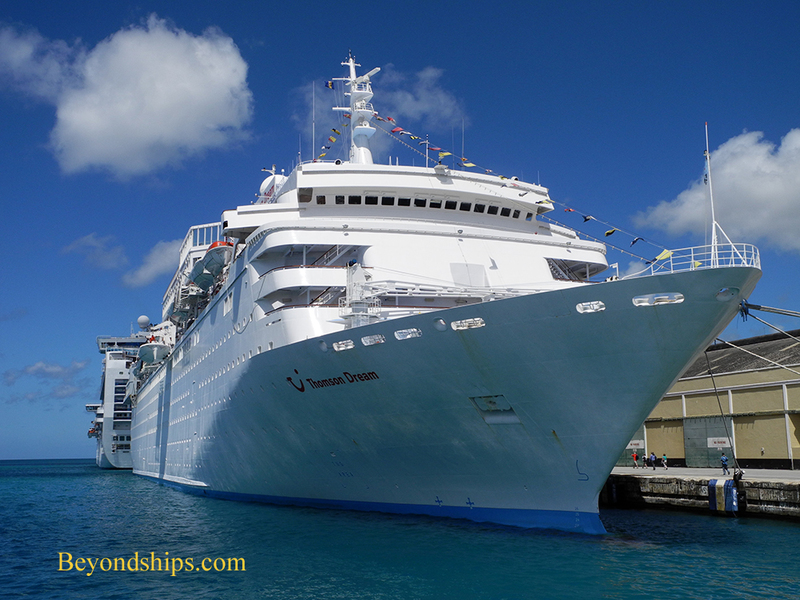 The lead ship in the Jewel class in various ports in the Caribbean and the Bahamas. 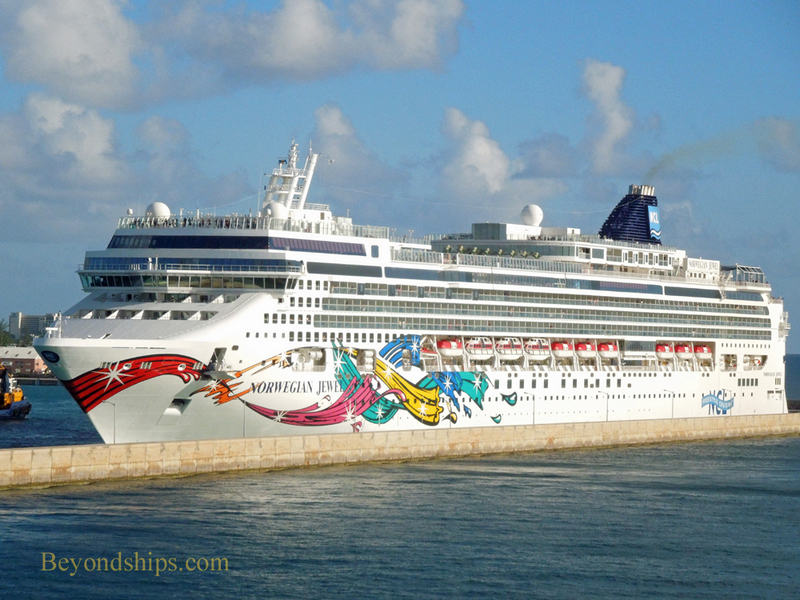 Norwegian Jewel is no stranger to the Caribbean and the Bahamas. She has sailed these water for years (see earlier photo essay). During the winter 2012-2013 season, she spent her time sailing there from New York. This is a long way for a ship to come but Jewel is a fast and capable ship. Most of her voyages were to the Bahamas. 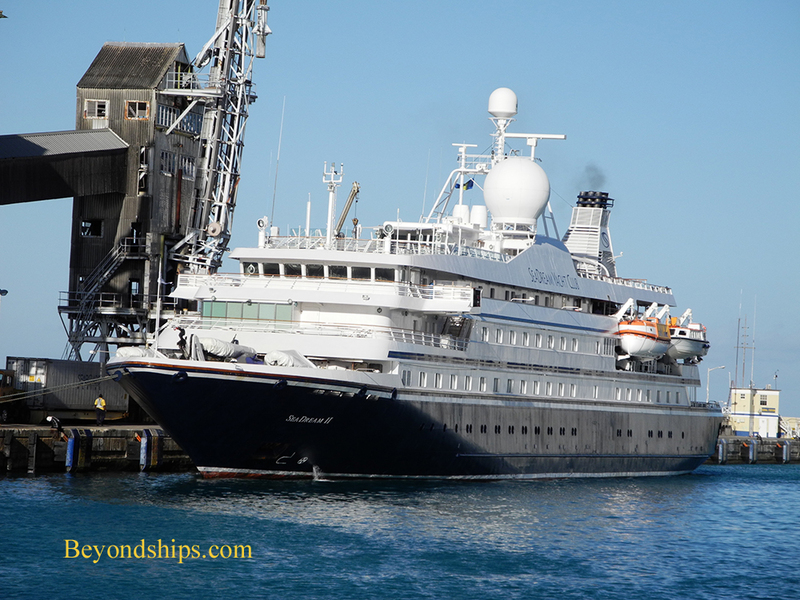 However, she also sailed deep into the Caribbean on some extended cruises. In this essay, we see her in some of the ports she visited. St. Lucia is a mountainous volcanic island. As a result, the weather can change suddenly as storms passing over the mountains give way to sunshine. 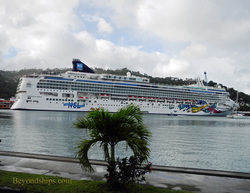 Here, we see Norwegian Jewel in several different lights, all within one day. 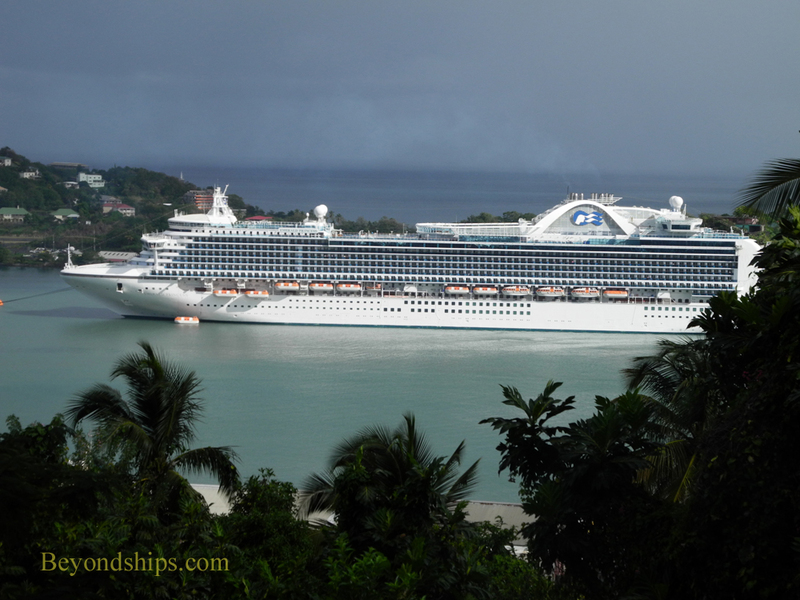 In port with the Jewel was Emerald Princess. The next day, Jewel was in Bridgetown, Barbados. It was fine weather all day as Jewel basked in the sunshine. 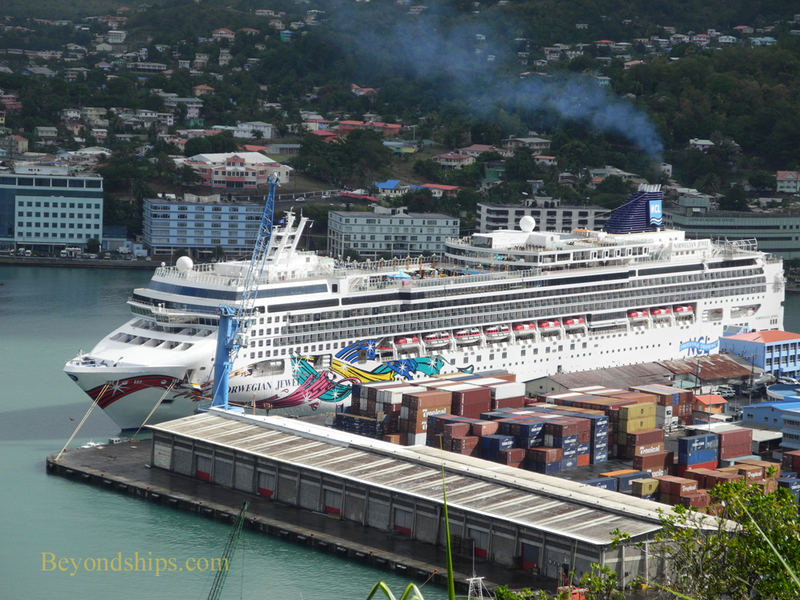 In addition to Emerald Princess, also in Barbados with Norwegian Jewel were Thomson Dream (formerly Westerdam and Costa Europa) (left) and Sea Dream I (right) (the former Sea Goddess I).